Investing in a second property is a very South African thing to do. We have all been around the braai with the usual utterances of "you can't go wrong with property" and "property prices always go up". The result is that many people go jumping head first into residential property investing without giving much thought to all the costs and factors and ignoring the multitude of other options available to them. I am hopeful that this article will go some way to helping people do a proper analysis before committing (a lot of) money to what can quite easily turn into a disastrous investment. In this post, I will walk through and explain each of the above steps. Hopefully that will better equip you and leave you fully armed for residential property investing battle. In truth, a proper assessment of the investment case for a residential property involves a number of calculations (some more hairy than others) - especially when it comes to estimating the future investment returns. I have put together a spreadsheet which can handle all the heavy lifting. The spreadsheet has been sent to the blogs subscribers (to subscribe click here). If you are not on the mailing list and would like a copy, get in touch and I will swing it your way. Also, right off the bat, let me just say that the numbers that come out of evaluating an investment property are usually not that great. Contrary to popular belief, residential property is not the holy grail of investing that most people make it out to be. When you factor in all costs, and house price growth closer to long term averages, you will find that there are usually better (and less riskier) investments out there. Of course that is not to say you can't find some great property investments, and it is entirely possible to get some really decent returns from a Buy To Let (as I am sure some of the readers can attest to). Right, so let me get into the detail. I think that there will also be some value in running through the process using an example property to illustrate the methodology and some of the calculations a little better. Fortunately, I just located a possible investment opportunity at 1 Stealthville. What luck! Reference to the example will be in italics to separate the "practical" from the "theory". Step 1 - find a property. Duh! If you want to get into the property investing game, the first thing you need to do is find a potential property to invest in. There could be a number of ways to do this - maybe you like a particular neighbourhood, or you just think you have discovered a bargain. Doesn't really matter, I think what is important is to take the step from "yeah..well...I guess I would like to invest in property..." to "is this particular property a good investment?" In order to make an informed investment decision, you need to take into consideration all the information about the investment (otherwise you are probably just speculating). Actual values are always preferable, however you will also need to make some assumptions/guesses for some values - just try keep them realistic. First and foremost, the sales price, obviously. But also be aware what kind of deposit you have available. Keep in mind the transfer costs (you can get some estimates of these using this handy calculator from Ooba). Remember transfer costs include lawyers fees, bond registration as well as transfer duties. You can reduce the transfer costs by considering buying a property off plan - this means no transfer duty, but can also come with it's own set of risks and issues. You can also avoid the transfer duty by buying a property at a price below the SARS transfer duty threshold (currently R900k, but could be revised going forward). Just remember that lower priced properties generally attract riskier tenants. Also worth estimating, or better still, asking your bank, what sort of interest rate you can get for the loan. In fact you may want to get pre-approved for a home loan - this will allow you to move quickly should you fin a great deal, and avoid any disappointment of a deal falling through at the financing stage. You need to make an estimate for the Rental Income you will be able to get from the property. To get an idea, you could have a look at what similar properties in the same area are renting for (and even go check some of them out). As with all assumptions, there is the risk that you might be off the mark - so be realistic, and err on the side of caution. You may also want to take a stab at guessing the rate you could escalate the rent at. The usual 10% annual increase you see in most rental contracts is more than likely not sustainable (I think this is something from back in the high inflation days which just became a standard clause in rental contracts), and if you want to be realistic, you should probably use something closer to inflation. 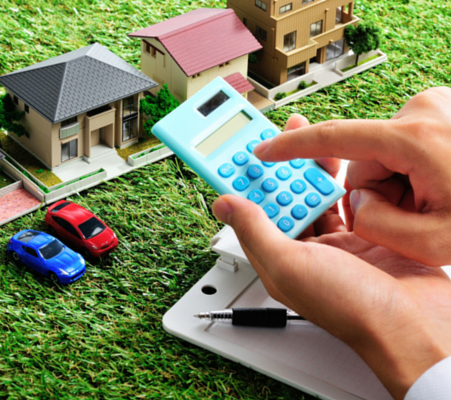 It is really important to get a full understanding of all the expenses related to the property. This is the part most property investors forget about when rattling off their "fantastic" returns. There is the obvious stuff, such as the bond repayments, rates, levies and insurance. But don't forget about maintenance expenses. I have found that a figure of 2% of the property value per annum for a freestanding house, and 1% per annum for a sectional title is a good rule of thumb. But you should also consider the state and age of the property, and if there is any imminent work which needs to be done. You should also take a guess at the escalation rates for some of the expenses. For example, to get an idea of how fast the levies have been increasing, you could ask for old body corporate financial statements. Don't forget to factor in possible vacancies. Don't assume that the property will be 100% tenanted every year. Vacancies can be tricky to estimate, but be realistic. If you use an estate agent, they will charge you a commission on your rental income. I got to admit though, that you will really struggle to find a property which will give good returns while using an agent. Of course if you are willing to manage the tenant yourself and deal with all the possible issues that may come with it, then you can go it alone and pay no commissions, which will certainly enhance your returns. Lastly, don't forget that if rental income exceeds your expenses and interest payments you will need to pay some tax (yuck) - so you should check what your marginal tax rate is. I think this is the one that people usually overestimate. Over the longer term, house price growth has averaged just a little over inflation. Some areas experience surges, some experience declines, and some experience both - remember that a property investment could easily run for over 20 years! So while you may think your chosen area is "special", you will only be fooling yourself id you over inflate the expected price growth of the area (remember Hillbrow was an up and coming area in the not so distant past....). And, since house price growth is enhanced by the gearing of the home loan, if you overestimate this your returns are going to look incredible and you could well end up getting burnt. If you are unsure what value you should use here, I would recommend going with the long term average of 6.88%/ (unless there are VERY compelling reasons to use a different value). If it turns out the returns on the investment at this growth rate are good, then anything above that will be a nice bonus. This will affect your return upon exit. Even though this may only happen many years down the line, it is worth estimating some numbers now. Among the things you need to consider are estate agents commission, and capital gains tax. I will assume that I have R100k for a deposit, and I have been pre-approved at a rate of prime (10.25%) - lucky me! The bond repayments come to R8 834.79 a month (the spreadsheet calculates this for you). An estimate for bond and transfer costs is around R50k. From checking similar properties in the area, I estimate starting rent at R9 800. (I assume that I will be able to escalate this by the long term average inflation rate of around 6.3% each year). I will manage the property myself (not for the faint hearted), so no agents commissions payable. My marginal tax rate is 37%. Since it is a sectional title in good condition, I estimate the maintenance cost at 1% of the property value per annum. The rates for the property is R500 a month, and levies are currently R1500 a month - I estimate that both these will increase by the long term average inflation rate (6.3%) per year. I estimate a vacancy rate of 5%. I estimate that the property value will increase in line with the long term historical data - 6.88% per year. If I were to sell, I estimate estate agents commissions at 6.00%. The current capital gains exclusion is R40k per year, and the inclusion rate is currently 40%. (these values subject to change, but always available on the SARS website). I estimate my marginal tax rate on selling will be 37%. Once you have all the initial numbers bedded down, it is time to run some very broad, high level filters. These are by no means the holy grail of property investment decisions, but they may give a fair indication if you are wasting your time. 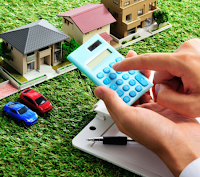 The first calculation you should perform for a residential property investment, is to work out the Cap Rate. What is nice about this calculation is that it ignores any financing costs. So this let's you analyse the investment as if there were no need for a loan. The thinking is, that if the property is a bad investment without the gearing of a home loan, you are probably only going to make it worse by throwing in finance on the property. So what is a good Cap Rate? It is difficult to put down an exact number, because different properties have different risk attributes (and riskier properties should have higher returns). From scratching around, it seems that for residential property investments, a Cap Rate of around 7% is considered good. What does the Cap Rate mean? The Cap Rate basically focuses only on the operating profit of the property. It strips out house price growth - which is something that you cannot control anyway - and focuses on the cash generating ability of the property. It allows you to assess a property based on the income you can get instead of the capital appreciation you may be hoping you can get. Cap Rate assumes that house price growth over the longer term will be equal to inflation and it gives you an indication of the return you can achieve over and above inflation. So a Cap Rate of 7% means without any real house price growth, you will get a return of around 7% above inflation. Using this number you can decide if that return is enough for you to justify the risk you are taking. Another quick and dirty filter you can look at is something known as the 1% Rental Rule. This rule says that in order for you to consider the investment, the current monthly rental income you can get should be at least 1% of the purchase price. If you find that the Cap Rate and 1% Rental Rule filters fail, it is maybe time to start giving some thought as to what price the filter results would start looking attractive. One of the easiest ways to improve the filter results, and something you have total control over, is how much you are willing to pay for the property. Adjust the purchase price downwards, to a value that satisfies the Cap Rate and Rental Rule. This also serves as the first input into the value of the offer you will potentially take to the seller. So 950k seems a much better purchase price to pay - well a lower price is obviously better! It is now time to jump into the juicy part - getting an idea of the returns you could possibly get from the property. For this everything needs to be factored in - finance, increases, Tax, maintenance, etc. etc. The calculations can get quite hairy, and this is where the spreadsheet really comes in handy. The spreadsheet will perform all of the calculations above for you (and more) - lucky you!. It runs the calculations on a year by year basis all the way up to year 21 - which will give you an idea of how the property could perform once the bond is paid off. At the end of the day, the most important numbers in terms of returns is the expected Return On Equity (ROE) and the CAGR (which is just the average compounded Return on Equity you are getting over time.) In short, these numbers basically tells you the percentage return you would get for the amount of money you would have put in. So what is a good return for an investment property? I think for the risks involved in residential property investing, you should probably be looking at 16% upwards. Now you will find that many of the properties you evaluate will not meet this criteria - and this is because most properties are not good investments (if property was such a sure thing, why are there thousands for sale each month?). If you can find something with a >16% ROE then you may have stumbled onto a goodie. The spreadsheet also calculates the Return On Equity At Sale. In short this value is the return you would need to get from a different investment in order to make it worth your while to sell the property and put the money in the other investment instead. It factors in the selling costs as well. This may give a good indication of how long you will probably end up keeping the property for - when this value starts heading under 15% it might be time to get out and jump into something else. Sometimes a picture is worth a thousand words calculations - so the spreadsheet also presents some of the information from above in charts, including Return On Equity, Cash Flow, Rental Yield and CAGR. If you plug the numbers into the spreadsheet, and you find the returns are not so great, do not immediately abandon the idea. These spreadsheet calculations are the second input into your offer price consideration. Remember you are in full control of the offer you make to the seller. Purchase price is the one input that affects everything - so play around with this and see what value makes the returns look good enough for you to pursue the investment. This gives more weight behind the case that the purchase price is too high to make it a good investment (already evident from the Rental Rule filter). With the current inputs, the CAGR is not too bad up to around year 8, but then tapers off to below 16% and all the way down into 13's. In order for the investment to be more worthwhile, the purchase price needs to be reduced. If I adjust the purchase price downwards to R920k (and keep the deposit at 10% = R92k, transfer costs now also come down to R47k), how does this affect it? Plugging these values in, results in the CAGR staying well above 16% for a long time (all the way till 13 years) and this seems like a much better outcome. I would be far more comfortable paying R920k for the place. The projections done above can be considered the "expected scenario" for the property. But it is also worthwhile to evaluate some different scenarios to determine the "resilience" of the property as an investment. You can use the spreadsheet to adjust interest rates, deposit amounts, vacancy rate, property growth rates etc. It can be useful to run some "optimistic" and "pessimistic" scenarios and see what comes out. You can also check the results of paying extra into the bond each month. What you may notice though, is that this generally reduces your returns (as there is less interest payable, which is tax deductible). Running the "what-if?" scenarios is the third and final input into the purchase price you are willing to pay. If some of the pessimistic scenarios make you a little uncomfortable, play around with the purchase price input, and determine what value makes a bad scenario "not so bad". After this step you should have a good idea of the offer price you would be happy to take to the seller. For 1 Stealthville, using the offer value of 920k contemplated in the previous step, let's see what happens if I play with some of the numbers. Sometimes levies and rates go up by more than inflation. Lets adjust these to 8% a year. Let's also assume that I can only get R9500 rent a month. In this scenario, the Cap Rate and Rental Filters still give good values (1.03% and 8.16% respectively). The CAGR is also affected, but remains above 16% all the way through to 11 years. So I am still comfortable with paying R920k. The calculations above can give you an idea of whether a property investment is a good idea from a numbers point of view. And whilst the numbers are very important, there are a host of other factors at play as well. There are many other "soft issues" which you need to consider before diving into a property investment. Some of these are related to the property, and some are related to the investor. A residential property investment is a highly concentrated investment - one instance, of one asset, in one sector, in one location. If this is your only investment, the lack of diversification is a big risk. You should probably build up some other investments first before you consider a residential property investment. For sectional titles, it is important to also have a look at the buildings financials. Is there more money coming in than going out? Have there been any recent special levies (could be a sign of poor Body Corporate planning and budgeting)? Remember the Body Corporate is like a management team of a company - and you want good management. So if possible try meet with the Body Corporate Chairman and other members. How close is the property to you? Especially if you do not plan on using an estate agent, it can be incredibly difficult, time consuming and costly to try run an investment property from a different province or even from a different city. Also, if this is not your only investment property, give some consideration to where your other properties are located. You probably don't want to have all your properties in the same neighbourhood - rather diversify and spread an already concentrated asset class around as much as possible. A vacant property can be very stressful, emotionally and financially! Are you sure you have the time energy and means to deal with the extra burden an investment property can bring. Even with an agent, there can (and probably will) be some very stressful times. Property investing is certainly not for everyone. Consider if you have the financial means necessary to manage an extended vacancy. Remember even with no tenants, you will still need to pay the bond and foot the bill for the levies, rates, taxes, etc. How many months could you survive with a vacant property? If you are debt adverse an investment property may give you sleepless nights. If you have a young family, you may not want the extra risk and hassle associated with bad tenants. You may not have the means to carry extra surprise expenses related to maintenance. Consider all this very carefully. One good thing about a residential property investment, and maybe one of the main reasons people swear by it, is that it forces you to be disciplined. There are very real and not so lekker consequences to skipping a bond payment, and because property is pretty illiquid, there is never a temptation to "cash out". It is far easier to dip into a savings account, or reduce a voluntary debit order into a share portfolio. This lack of liquidity could be a good or a bad thing for you. The offer price is the one thing that is fully in your control - so use it to your advantage. Once you have considered all inputs, settle on a number that you are comfortable with. You may find that this number is way below what the seller is asking - in which case the property is may not be worth pursuing. If you do make an offer, I think it is very important not to budge from your price. The agent and/or seller will most likely try talk you upwards, be ready for this. Be prepared to leave emotions out of negotiations and remember this is an investment decision. Offer no more than the price you have decided on beforehand, and be prepared to walk away. Remember there are literally 1000's of property's on the market at all times, so don't get emotionally attached to any specific one! Remember a rejected offer is nothing personal. Always be prepared to walk away - you came up with your offer price for a reason. Sometimes you will be surprised, and you will get a call back a few days or weeks later asking if you are still interested as the seller is prepared to come down. This is obviously the outcome you would prefer. If your offer is accepted, then it's game on! Time to take the plunge. But you are not done yet - remember that an investment that looks good on paper, may not play out that way in reality. As with any investment, a property investment is predictably unpredictable. So it is important to monitor how the investment is doing on an annual basis, and track how it is doing. Make a copy of the spreadsheet, and then start putting in some actual values to see how it compares to the estimated values. You can get an estimate of the property value at the end of each year by visiting Property 24 (or similar) and checking out the listing price of properties for sale in the same area and with similar specs to yours. Bear in mind though that listing prices are often negotiated downwards, so maybe be conservative and knock off 5-10% from the prices you see on Property 24. Keep track of maintenance costs and vacancies. As time moves on and the years tick by, you may find your property investment does better (holding thumbs not worse) than you expected. Keep a close eye on the Return Of Equity At Sale. This is the return you would need to get from an alternate investment (maybe equities, or listed property) to make it worthwhile to sell out and move into the other investment. If everything worked out exactly as expected (yeah right!) for 1 Stealthville, I would probably consider selling around year 15. At this point the CAGR is in the 15's, and the ROE At Sale value is starting to approach values which may make an investment in listed property or equities look attractive. Residential property investing has worked really well for some people - especially those that got in during the boom years of the mid-2000's. Having said that, recent property returns have not been as lucrative, and this is why property is not a sure thing and should be evaluated on a case by case basis. Blanket statements like "property is always a good investment" don't help anybody. If you are looking to get into the property investment game, I hope this article and spreadsheet will at least give you a solid basis to make your decision on, and you will not just jump in blindly because everyone says you should.- remember there are always other options out there!